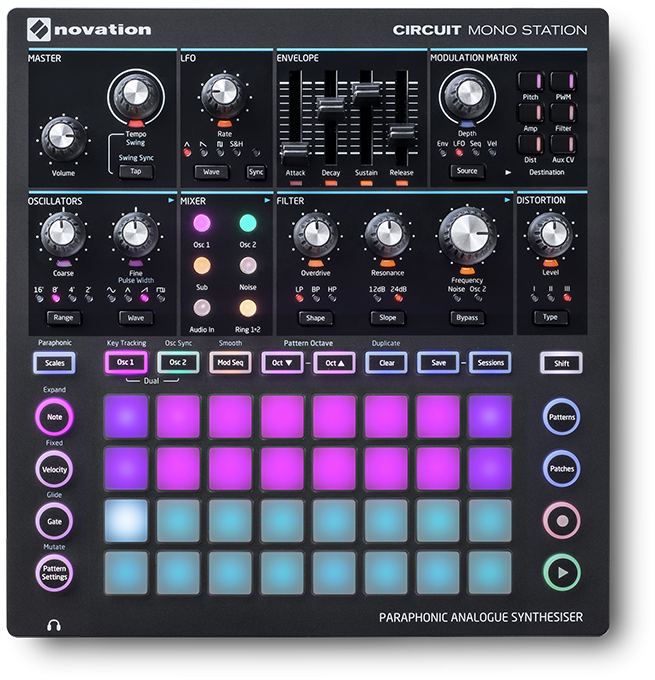 Novation has released Circuit Mono Station, a monophonic synthesizer and sequencer. The debut was at Superbooth 17, an electronic music and gear trade fair happening in Berlin, Germany. Circuit Mono Station takes some features from the Bass Station engine and also from the Circuit sequencer and the result, according to the company, is a powerful combination. The product has two oscillators, one sub oscillator, a noise generator, filter, and an amplifier envelope, with ADSR sliders. It’s possible to control both oscillators individually through Osc 1 and Osc 2 buttons. The oscillator section has four available wavetables and four octave ranges. There are Coarse and Tune knobs as well. The filter section has typical cutoff (frequency) and resonance knobs, with an additional overdrive control. There are three filter types (low pass, high pass and band pass) and two filter slopes (12dB and 24dB). The LFO section has four wavetables and a rate knob; a sync button is also available. Circuit Mono Station comes with an interesting Modulation Matrix, where the user can choose between four sources (Env, LFO, Seq, Vel) and route it to one of the six destinations (Pitch, PWM, Amp, Filter, Dist, Aux CV). The combination possibilities are endless. There is also a Distortion section, with three distortion types and a Mixer section, where it’s possible to set independent volumes for oscillator 1, oscillator 2, sub oscillator, noise, audio input and ring modulation. The product comes with 32 velocity-sensitive RGB pads, which will allow the user to operate the three sequence tracks included – there are two oscillator sequencers and one modulation sequencer. The rear panel has a USB port (for connection to a computer), Midi In/Out/Thru mini jacks, Clock Out/In for sync and a Note Out section, with CV, Gate and Aux CV jacks for connection to analog synths. 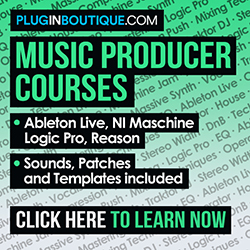 There’s also a mono Line output and an audio input (it’s possible to use Circuit Mono Station as a effects processor for external audio sources, such as keyboards, electric guitars and more).